It is always an honor to be recognized for my success in the energy industry, particularly when the recognition comes from an organization that is producing the next generation of industry leaders. 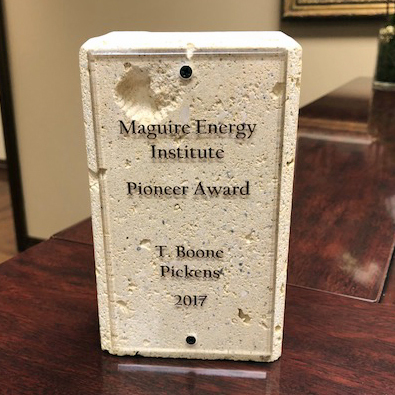 I recently received the Maguire Energy Institute Pioneer Award, from the Maguire Energy Institute at SMU Cox School of Business, which recognizes the long-term impact individuals have had on the energy industry. This prestigious award is presented to energy industry trailblazers, and I’m honored to be the sixth recipient.